We’re itching to test some of our new Fall fragrance samples that were specially formulated just for Bramble Berry. Do you want to be on the Fall/Winter S.O.A.P. team and be the first to test them? What’s the S.O.A.P. panel you ask? Soap Opinion (Awesome) Panel members will receive 9 one ounce fragrance samples of our top Fall choices for Fall/Winter 2011. Give the cutting-edge fragrances a sniff AND test them in any product you like (really, anything you want). Then fill out a survey to help distinguish the top choices. We want your honest opinion and notes on testing! After weeks of built up anticipation, it’s finally time for the big fragrance oil reveal! Our new S.O.A.P. fragrances (Summer edition) are here and ready to order. Here’s a link to the S.O.A.P. (Y) Round Up from the Summer Soap Panel. Try all three fragrances in the click of a button! 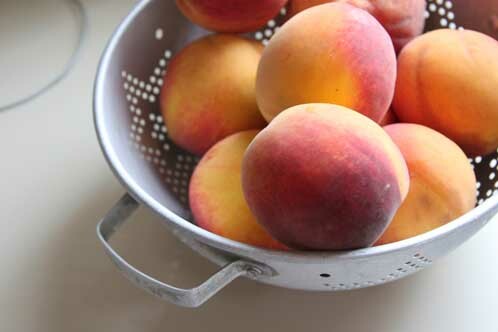 Southern Peach (mystery fragrance #3): This isn’t your traditional peach; it’s softer, more rounded with some white floral notes and supporting softer tropical notes (think guava, mango and ripe papaya) thrown in to make a complex, sweet peachy dessert scent. It goes a yellow in CP soap (but you can easily make this work with your design). “We” (meaning the royal “we” for all of Bramble Berry!) have been obsessed with Jeanee’s Dirty Laundry Blog for quite some time. I’m pretty sure the entire customer service and marketing team check in daily (including myself). Her posts are always cheeky, fun and inspirational, which is why we invited her back for a second time to be on the Bramble Berry S.O.A.P. testing team (a group selected to test new fragrance oils for Bramble Berry- read more about S.O.A.P. here). 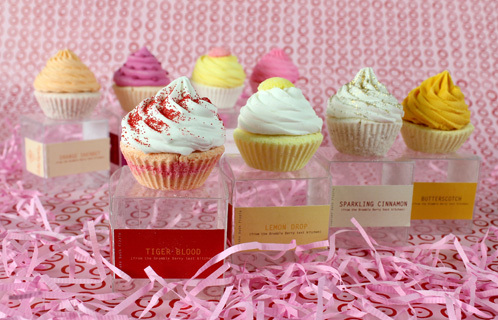 After testing the mystery fragrances in her mini bath bomb cupcakes, she was a dear and sent us a sample of each (sweet!). You shouldn’t have, Jeanee, but we’re so happy you did. My marketing team and I were like jungle animals, fighting to smell each bath bomb at the same time. Thank You Summer S.O.A.P. Testing Team! You all went above and beyond in your testing. There was lotion, liquid soap, cold process soap and sugar scrubs. There was even one lucky fragrance oil that got its picture taken with Mount Rushmore. And now an official shout out to the fabulous S.O.A.P. team. Thanks again! Amy from Tenth Avenue Soapworks. Last Wednesday we announced that Bramble Berry is looking for a new Summer S.O.A.P. Team (see the blog post here if you missed it). Thank you to all who participated! We read your tweets, liked your blog posts and clicked on your links. We were deluged with interest in the Summer S.O.A.P. Team. Just remember that there will be more opportunities in the future to be on the testing team. So if you’re name is not below, don’t be discouraged, apply next time! We plan on spreading the S.O.A.P. love! S.O.A.P. Team, please email soap(at)brambleberry(dot)com with your shipping address so we can send you your mystery fragrances. Thanks in advance for your hard work! Looking for Summer S.O.A.P. Team! Enter to win a chance to test 8 NEW Summer fragrances! What’s the S.O.A.P. panel you ask? 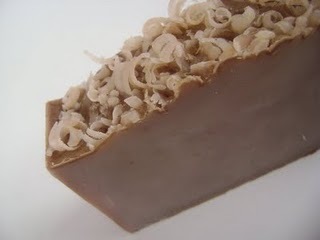 Soap Opinion (Awesome) Panel members will receive 8 one ounce fragrance samples of our top summer choices for Summer 2011. Give the cutting-edge fragrances a sniff AND test them in any product you like (really, anything you want). Then fill out a survey to help distinguish the top choices. We want your honest opinion and notes on testing! How to apply: Tweet, Facebook or Blog about your favorite Bramble Berry product (including links) and why you should be selected for the S.O.A.P. Panel. We’ll announce the finalists on Monday, May 16th so get your tweets, posts and blogs done by the end of the weekend! Note: your Tweets should have @brambleberry someplace in the body of the Tweet (but make sure they don’t just get directed directly to @brambleberry or else no one else can see them)! Fine Print: We will be sending the fragrances out next week and we would like the surveys complete by June 20th, which gives you about a month to test the fragrances. Please keep these dates in mind before you enter. We looking for an accountable and enthusiastic panel! Have you been on the S.O.A.P. panel before? Feel free to enter again! Check out the new Spring fragrances that we added from the last Floral S.O.A.P. Panel (read about the new fragrances here) AND see some of the testing from the floral panel here. We had such a great testing team. They really went all out. Ruth from Sirona Springs was on the spring floral panel. She went above and beyond our testing expectations. Fine Print: We normally welcome international entries but unfortunately these fragrances cannot ship overseas. It’s finally time for the S.O.A.P. panel (floral edition) fragrance oil reveal (bells and whistles)! The top three fragrances are in the warehouse and ready to order. Bramble Berry is pleased to introduce to you Cherry Blossom, Orange Grove, and Eucalyptus Blossom! 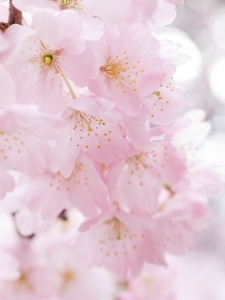 Cherry Blossom Fragrance Oil: This lighter fragrance is a fruity floral delight for the senses; with notes of sweet pomegranate seeds, tart juicy currant mingling beautifully with pink cherry blossom and delicate white magnolia, this is a floral that will quietly steal your heart and have you bursting into song for no reason. This was one of the mystery fragrances in our Spring 2011 S.O.A.P. panel and it was a big hit with it’s fresh and clean scent. 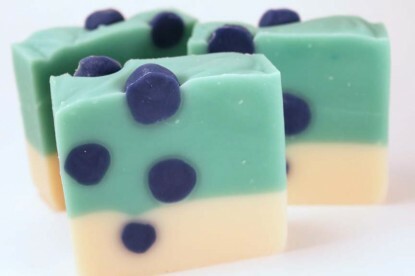 Does not discolor or accelerate trace in Cold Process soap.